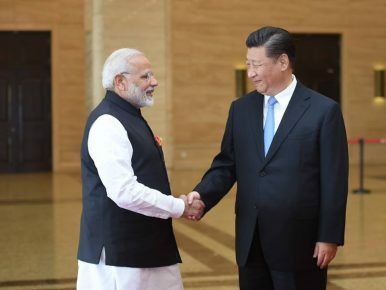 Is China replicating its South China Sea strategy in regions disputed with India? In Pakistan, journalists’ woes have been one constant. 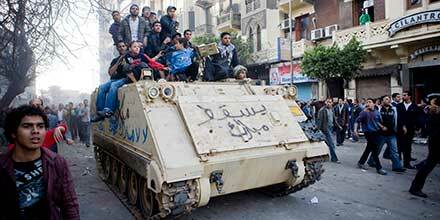 Whether under civilian or military rule, the multidimensional challenges faced by journalists have remained the same. Kamran Khan, the well-known Pakistani anchor on Dunya TV, in a recent program equated journalists’ current predicament to the conditions under former dictator General Zia-ul-Haq’s (1977-88) rule. 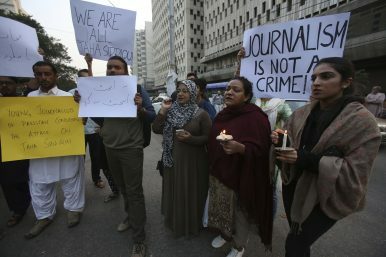 Adding support to his argument, Islamabad, the capital city, has reportedly been dubbed the “most dangerous place to practice journalism in Pakistan.” Indeed, journalists are living in a constant nightmare in the capital following cases of abductions and beatings; on some occasions reporters have been targeted just because of their journalistic work. As a result, there are also reports of journalists fleeing Islamabad. A case in point is that of outspoken journalist Taha Siddiqui, who is currently living in exile in France. Pakistani Prime Minister Shahid Khaqan Abbasi’s meeting with Afghan President Ashraf Ghani in Kabul recently has raised expectations about the viability of the peace process between Kabul and Islamabad while highlighting India’s success in peeling Kabul away from dependency on Pakistan’s ruling elite. As well, the meeting served to cement US regional policy goals: If realpolitik supplants rigid ideology, then policymakers in Islamabad will need to rethink their approach to China, India and the US while revisiting their Afghanistan strategy. WANG XINGXING taps the back of his dog which, on command, stands tall, shakes its legs and struts forward. It is not a well-trained pooch so much as a well-built one. Laikago, its name, looks like a miniature version of the robo-dogs that propelled Boston Dynamics, an American robotics company, to fame. Mr Wang, a boyish 28-year-old, started work on his dog as a graduate student. It can walk on uneven surfaces, carry small loads and steady itself when kicked lightly. With its first nuclear test on October 16, 1964, China joined the other victorious allies of World War II in the nuclear club, both cementing and unsettling the postwar order. Hard experience of the American nuclear threat during the Korean War and the divorce from the Soviet Union, propelled China towards the bomb in ways familiar to those observing North Korea's current quest. Mao Zedong himself said in 1956, "…if we don't want to be bullied, we have to have this thing." But China for all its size has made itself a limited nuclear power. It has demonstrated its ability to build very big bombs but chose to test and make few of them. The size of China's arsenal is a highly guarded state secret, but estimates put it in the several hundreds, not thousands. Beijing can hold armies and cities at risk, but not make the rubble bounce several times over. If China’s intentions in the South China Sea weren’t quite clear, this month should have removed doubt. News reports said China had installed anti-ship cruise missiles and surface-to-air missile systems on the disputed Spratly Islands—and had also built 400 buildings that can accommodate its military forces on a reef there. Then, China said it had landed bombers on manmade islands in disputed waters in preparation for what it called “the battle for the South China Sea.” It then emerged that a bomber landed on an island in the disputed Paracels. Since World War II, the foundation of Japanese national strategy has been reliance on the United States to protect Japan’s national interests. The U.S. ensures that sea lanes supplying Japan with essential raw materials stay open. It guarantees Japan’s physical security – against threats from the Soviet Union during the Cold War, and from China thereafter. And it gives Japan access to American markets, first during its financial recovery from the war and then as part of its development into the world’s third-largest economy. In return, the Japanese accepted the presence of American forces in Japan, providing a base of operations designed to preserve the control of the Northwest Pacific that the U.S. attained during WWII. From those bases, the U.S. could block the Soviet fleet in Vladivostok, support operations in South Korea and so forth. The 19th Party Congress guidelines, published in October 2017, envisioned the establishment of joint theatre commands by the 2020 and the People’s Liberation Army becoming a “world class” military by 2050. While many analysts in the West termed China’s military modernization efforts a decade ago as “aspirational” in nature, the thrust by the political leadership, the increasing display of military muscle is unnerving many countries in the region. German Chancellor Merkel has stressed that improved ties with China are a much-needed step toward solving international crises. Merkel's delegation is also seeking greater market access for German companies in China. German Chancellor Angela Merkel told Chinese Premier Li Keqiang on Thursday that close cooperation between the two countries was essential to solving the world's crises. Merkel's trip to China comes amid rising tensions in both Beijing and the European Union over trade relations with the United States, as well as US President Donald Trump's decision to pull out of the Iran nuclear deal. The United States Government (USG) must develop and implement an ideological campaign integrated within a broad whole-of-government strategy to reform the Salafi philosophical underpinnings of violent jihadist extremism. Currently, USG strategy addresses Salafi jihadists primarily as a terrorist threat and is predominantly reliant on military and law enforcement efforts to kill or capture combatants. As a result, the Salafi jihadist threat has only grown worse as jihadists now control more territory and have experienced an exponential growth in the number of devoted adherents. In actuality, the jihadists are a global insurgency with deep Salafi ideological roots that must be reformed by deliberate ideological countermeasures if the U.S. intends to check the spread of jihadist control, stem the tide of new converts, stop the flow of financial support, and reduce the threat to a manageable level. Following the near destruction of ISIS in Iraq and in the U.S. “zone” in northeastern Syria, and then a call recently by the President Donald Trump to pull out of Syria, administration officials, pundits and foreign leaders have all urged the president to keep troops in Syria. As justification, these officials—including Secretary Mattis—often cite deleterious effects of the U.S. troop pullout from Iraq in 2011, including the breakdown of the Iraqi political system and ISIS’s 2014 sweep of Sunni Arab areas. SEVEN DECADES IS a long time. Surely long enough for anyone of that age to look back at their childhood with a measure of detachment. Yet, as we approach the seventieth year of India’s independence, our understanding of the context in which we attained freedom seems to be getting more warped. Instead of looking for newer ways to grasp and tell that story, we are increasingly eager to denude it of nuance. This is, of course, a direct consequence of the sharpening ideological turn in our politics over the past year or so. History, as always, becomes a handmaiden of political ideology. [Editor’s Note: Mad Scientist Laboratory is pleased to present the following guest blog post by MAJ Chris Telley, U.S. Army, assigned to the Naval Postgraduate School, addressing how Artificial Intelligence (AI) must be understood as an Information Operations (IO) tool if U.S. defense professionals are to develop effective countermeasures and ensure our resilience to its employment by potential adversaries. AI-enabled IO present a more pressing strategic threat than the physical hazards of slaughter-bots or even algorithmically-escalated nuclear war. IO are efforts to “influence, disrupt, corrupt, or usurp the decision-making of adversaries and potential adversaries;” here, we’re talking about using AI to do so. AI-guided IO tools can empathize with an audience to say anything, in any way needed, to change the perceptions that drive those physical weapons. Future IO systems will be able to individually monitor and affect tens of thousands of people at once. Defense professionals must understand the fundamental influence potential of these technologies if they are to drive security institutions to counter malign AI use in the information environment. CAPITOL HILL: In war, no weapon or technology matters as much as leadership. That’s why the Senate Armed Services Committee wants to modernize the military’s rigid Cold War processes for promoting officers. The goal: turn today’s one-size-fits-all system into something flexible enough to cultivate the many different types of talent required for modern conflict, from hackers to pilots to grunts. The House, however, is holding back: HASC’s version of the annual defense policy bill contains fewer and less radical reforms. Given their transaction anonymity and user-friendliness, cryptocurrencies appeal to extremist groups as they offer a viable alternative to the mainstream financial system and fiat money which are perceived as ‘kafir’ (infidel) currencies. 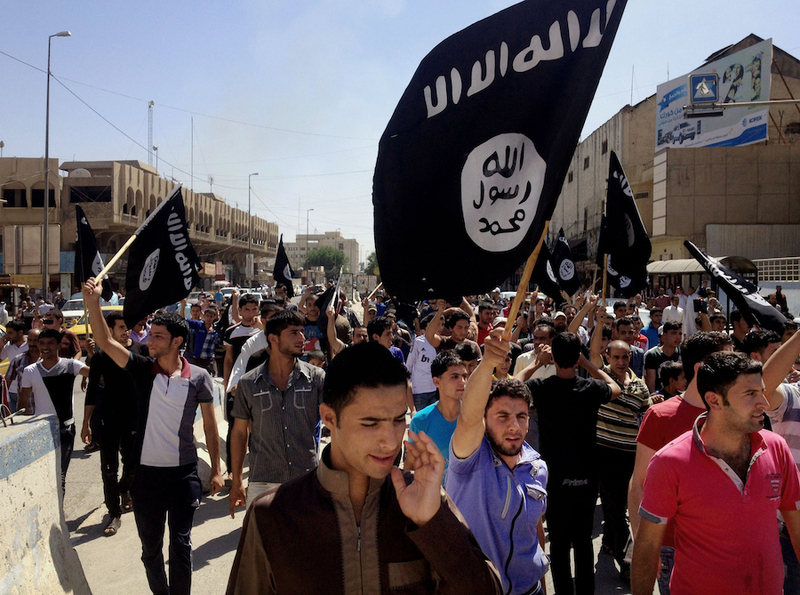 The threat of cyber-driven terrorist financing is expected to grow. 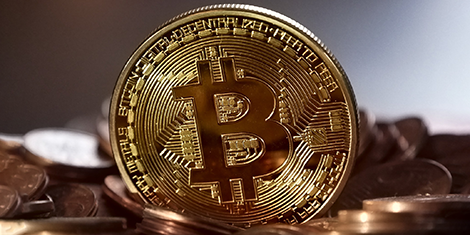 Bitcoins and similar cryptocurrencies have become attractive to terrorists who see them as a means to solicit donations, purchase or sell weapons in the dark web and move funds globally to boost their financial capacities. Cryptocurrencies are privacy-focused and thrive on a decentralised financial ecosystem. In the years following the 9/11 attacks, the United States and China found a common enemy in the Uighurs. Beijing saw the minority Muslims in the country’s western region of Xinjiang as separatists and cracked down on their independence movement. The United States labeled a group of them terrorists and locked them up at the detention center in Guantánamo Bay. But U.S. diplomats found themselves championing the cause of the Uighurs at the United Nations this week, drawing an unusually undiplomatic rebuke from China that underscored Beijing’s growing assertiveness at the world body. 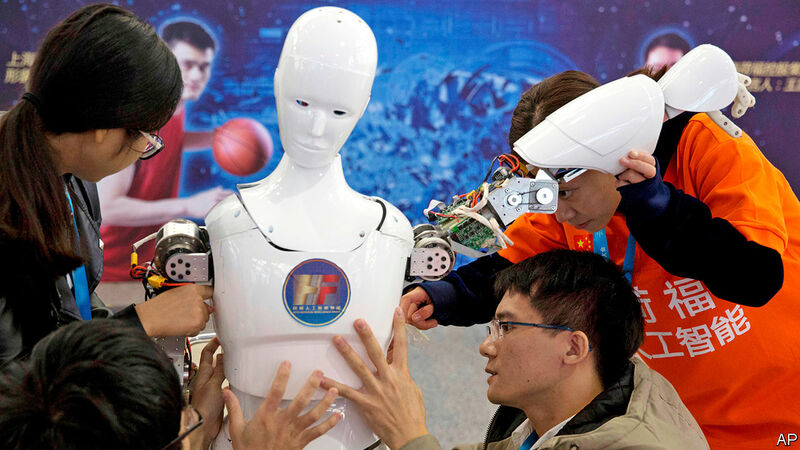 By the middle of the 21st century, ground forces will employ tens of thousands of robots, and the decisions of human commanders will be shaped by artificial intelligence; trends in technology and warfare make this a near certainty. The military organizations of the United States and its allies and partners must plan now for this new era of warfare. This study by CSBA and Major General Mick Ryan (Australian Army) examines the key drivers, opportunities, and challenges for ground forces in developing future human-machine teams. It provides an intellectual foundation for the detailed analysis of the personnel, equipment, training, education, doctrine, sustainment, and infrastructure required by allied forces in the next five years and out to 2030 to build a future human-machine force. Ultimately, these efforts should be considered in order to explore the future potential of exploiting this as-yet-underdeveloped capability. Credibility -- the degree to which an actor's threats and promises are believed by other actors in the international system--is an inherently intangible concept. Yet American credibility is nonetheless crucial to the stability of an international system that ultimately rests on U.S. alliance commitments and security guarantees. If American credibility is strong, then adversaries will be deterred, allies will be reassured, and relative geopolitical stability will prevail. If American credibility is weak, then adversaries will be emboldened, allies will be unnerved, and geopolitical revisionism and aggression will proliferate. Today, America confronts a deepening crisis of credibility in global affairs, due to the military buildups and revisionist strategies being pursued by U.S. adversaries--and no less to the missteps of the United States itself. This report outlines a multi-pronged agenda for shoring up the credibility on which so much of U.S. foreign policy and the international order depends. The term “Fourth Industrial Revolution” (FIR) is a buzzword introduced by Klaus Schwab during the World Economic Forum in 2016. It is defined as the convergence of technologies to blur the lines between the physical, digital, and biological worlds. It is also used interchangeably with the more popular term “Industry 4.0” coined by the German government in 2011. In fact, it is the convergence of underlying technology domains of nanotechnology, biotechnology, information and communication technology and cognitive science where the whole is greater than the sum of its parts. Proxy forces seek outside support for many reasons, writes Dan Byman. Resources are the most obvious one: Outsiders will provide, money, weapons, and training, among other forms of support. This piece originally appeared on Lawfare, and you can read the earlier piece examining the same issues from the state's perspective here. Just as states exploit proxies for their own ends, so too do proxies exploit states—but the cost for them is often heavy. States use proxies for many reasons, writes Dan Byman. For the United States, the issue is often cost: Locals fight, and die, so Americans do not have to. For many states, however, factors other than cost and fighting power come into plan. This piece originally appeared on Lawfare, and you can read his piece examining the same issues from the proxy's perspective here. A proxy war occurs when a major power instigates or plays a major role in supporting and directing a party to a conflict but does only a small portion of the actual fighting itself.